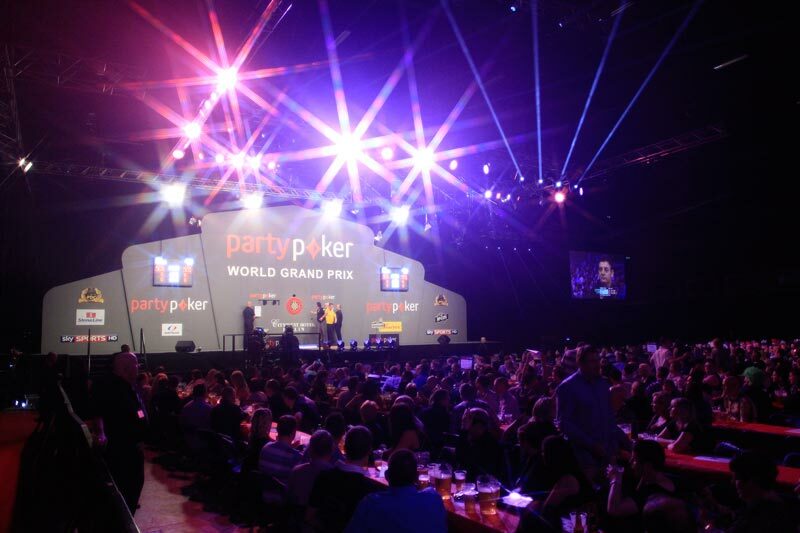 GREATER opportunities than ever will be available on the PDC circuit in 2016, with next year’s calendar set to include ten European Tour events and an additional Development Tour weekend. The continuing growth of the PDC will see over 150 days of darts take place next year, with prize money set to grow to £10 million worldwide across the circuit. Following the completion of the 2015-2016 World Darts Championship on January 3, the action will resume with the 2016 PDC Qualifying School in Wigan from January 13-16, allowing ANY player to attempt to win a PDC Tour Card. The Masters will feature the world’s top 16 competing across two days in Milton Keynes on January 30-31 before the new Premier League season kicks off in Leeds on February 4. The Premier League continues across 16 successive Thursdays through to May, including the first-ever visit to the Netherlands for the final league night at the Ahoy Arena in Rotterdam, before the top four contest the Play-Offs on May 19 at The O2 in London. Two weekends of UK Open Qualifiers will be held during February to provide the six events for PDPA members to win places in the UK Open Televised Finals at the Butlins Minehead resort from March 4-6. The PDC World Cup of Darts will remain in Frankfurt from June 2-5, with the World Matchplay taking place from July 16-24 at the Winter Gardens in Blackpool. October will see the World Grand Prix take place from October 2-8, with the European Championship taking place in Belgium from October 28-30. The following month will feature the Grand Slam of Darts in Wolverhampton from November 12-20 before the action returns to the Butlins Minehead resort for the Players Championship Finals from November 25-27, which will also feature the World Youth Championship Final. The year’s action will then conclude across the Christmas period with the 2016-2017 World Darts Championship. A total of 20 Players Championship events will be held during the year, while the ever-growing European Tour will expand to ten tournaments in 2016. The action will begin in Venray in the Netherlands in February before moving to Munich in March for the first of the year’s seven German-based events, with events to follow in Gibraltar and Hamburg during May. June will see Event Five in Austria before a further event in Dusseldorf at the end of July to then be followed by tournaments across three successive weekends in September in Riesa, Muelheim and Sindelfingen before the final event in Hildesheim in mid-October. The year will again feature 16 Challenge Tour events, for PDPA Associate Members, with four events to be played across each two-day weekend. The Development Tour, for players aged 16-23, will expand to feature five double-header weekends and 20 tournaments during 2016, with four UK-based weekends to be accompanied by one weekend in Muelheim, Germany, on April 23-24. * Please Note: PDC Calendar correct at August 14 2015. Events are subject to change for operational or other unavoidable reasons, in accordance with PDC rules. Details of 2016 World Series of DartsSeries of Darts events and further confirmation of some venues for European events above will be confirmed in due course.